Aviva will target “mass affluent” investors when it officially launches its fixed-term annuity product next week. 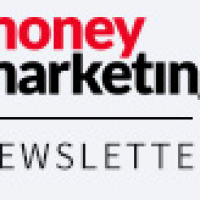 Money Marketing first revealed the provider’s plans to launch a fixed-term product with limited low-risk investment choice in February. The Aviva fixed-term retirement plan will allow customers to invest a portion of their fund into either a guaranteed maturity value or the Aviva guaranteed fund, after deciding on how much tax-free cash and income they want to take. The guaranteed maturity value, which is similar to the feature on the Living Time and LV= products, allows the investor to lock-in to guaranteed growth. The guaranteed fund has an equity backing of between 25 per cent and 30 per cent. The rest of the money is placed in fixed-interest assets such as corporate bonds, with investors guaranteed to get at least their money back. The minimum purchase for the fixed-term retirement plan is £30,000. Investors can “mix and match” between the guaranteed maturity value and the guaranteed fund, provided that a minimum of £5,000 is invested in each fund. If a person invests any money in the guaranteed fund, the fixed-term will be five years. If they invest solely in the guaranteed maturity value the term can be between five and 10 years. Death benefits are included as standard within the product. Aviva head of retirement Darren Dicks says: “There is a definite segment of the baby boomers who are reaching retirement now that are commonly called the ‘mass affluent’, earning upwards of £50,000 a year with a £50,000 to £100,000 pot. “Someone retiring now might have quite sizeable final salary benefits and may just have £35,000 in a separate pot. So they have secure DB income and they may want to postpone the decision to annuitise, but they don’t want to take a lot of risk and go into full drawdown.